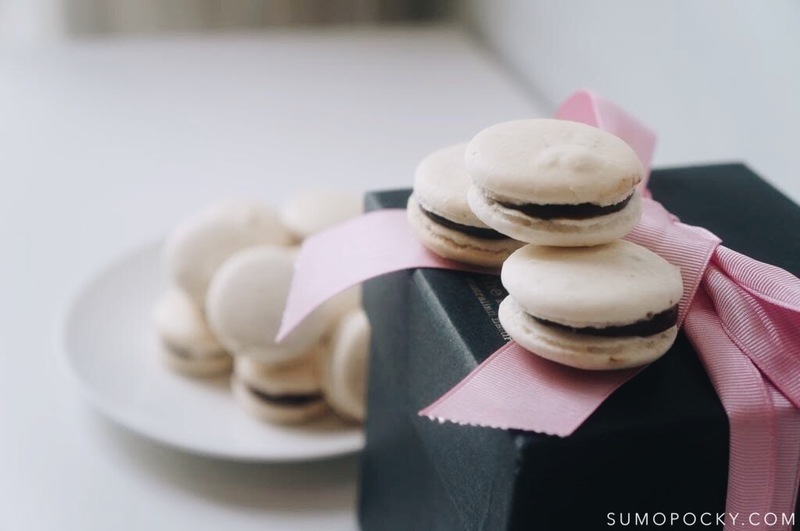 This dark chocolate ganache is my favourite macaron filling, and also one of the most popular flavour from Sumopocky! 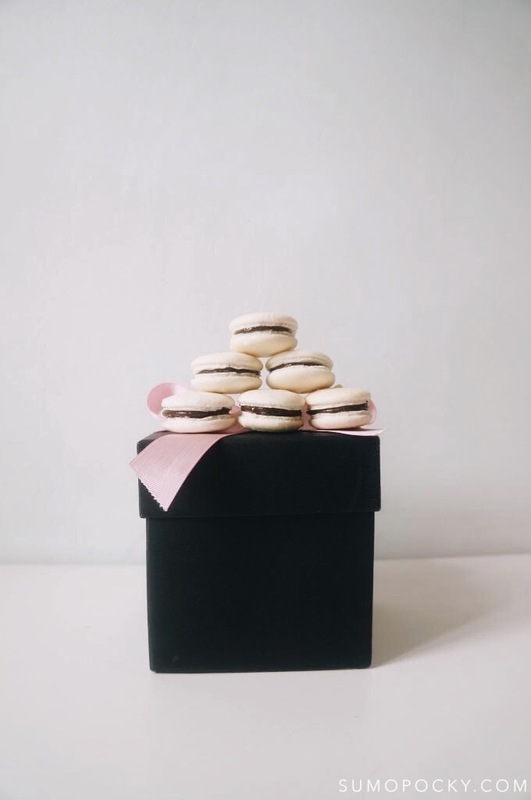 The bitter dark chocolate flavour is a perfect balance with the sweetness of the macaron shells. 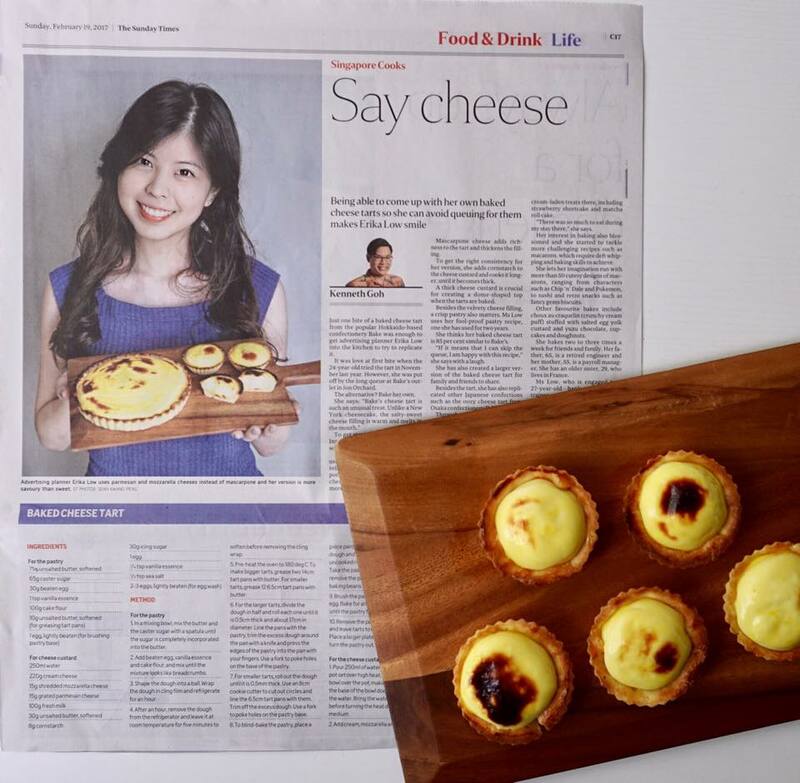 They also last better in Singapore's hot and humid temperature, as buttercream tends to melt quickly and cause the shells to slide apart. Plus, the chocolate filling can be prepared within 15 minutes and only requires two ingredients. 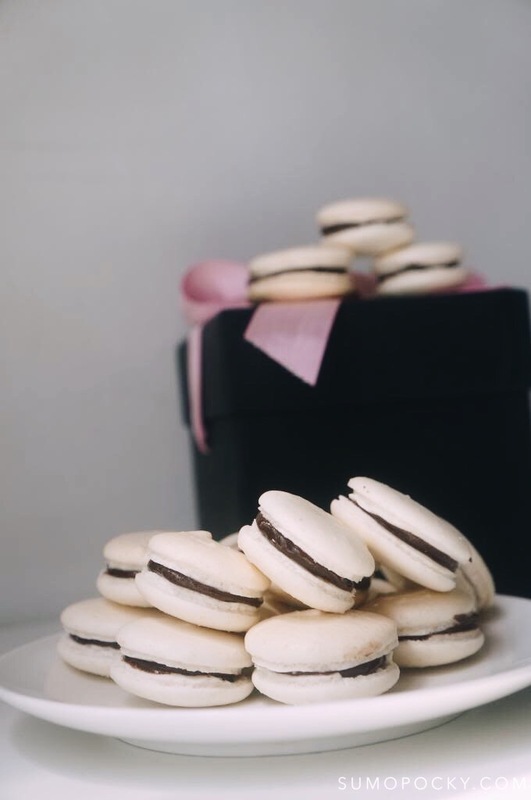 If you find that you're tired after spending a great deal of time and effort baking the macaron shells, then this is a good choice of filling. For those who like something very sweet, you can replace the dark chocolate with white chocolate. 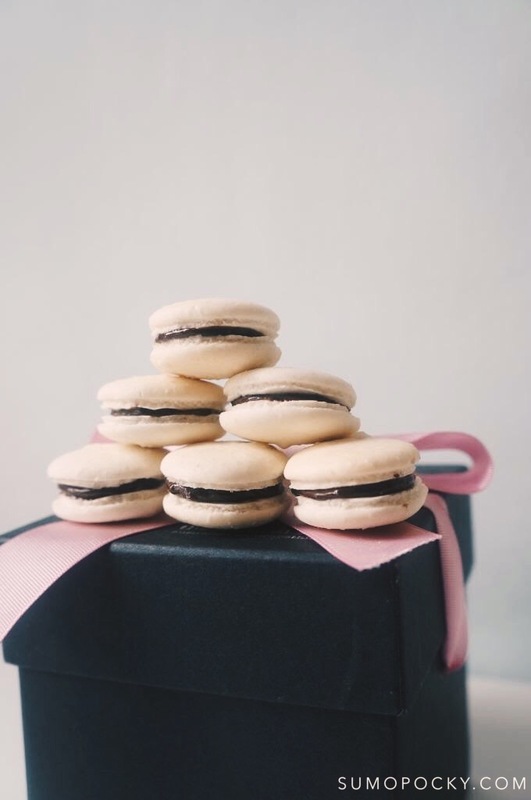 One nifty trick to add a bit of finesse to your macarons is making a dark chocolate ring on the shell, and filling the centre with something like raspberry jam. Raspberry and dark chocolate is a classic combination as the tartness of the berry goes well with the sweetness of the chocolate. 1. Bring heavy cream to a boil. 2. Pour heavy cream over chocolate. Let it sit for 1 minute and stir with a whisk till all the chocolate has melted. Let it cool. 3. 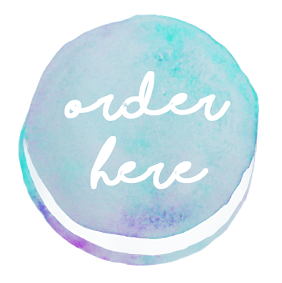 Transfer the filling to a piping bag and pipe between two macaron shells.